Every summer The Royal Ballet gathers to watch the traditional cutting of the Taglioni Cake. 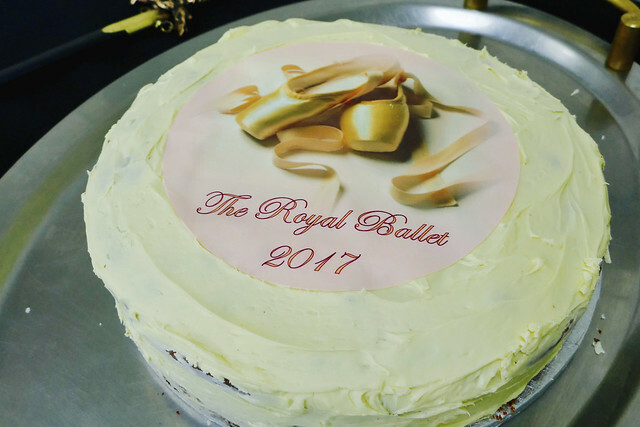 Named for the famous ballet dancer Marie Taglioni, the Taglioni Cake has marked the end of each Royal Ballet Season since 1956, when the ceremony was inaugurated by founder Ninette de Valois and her friend, the dance historian Cyril Beaumont. 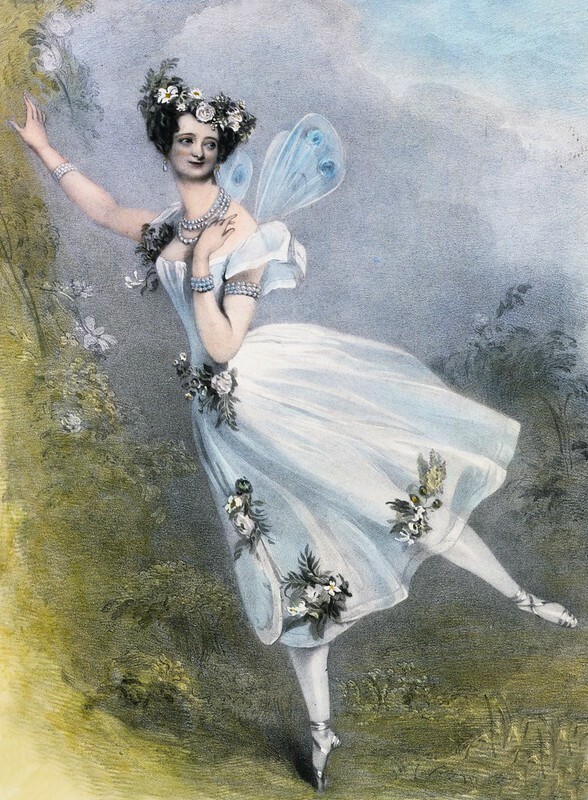 Swedish-born Italian dancer Marie Taglioni made her debut in 1822 in Vienna and quickly became famed throughout Europe. She’s best known now for dancing the title role in La Sylphide, her name practically synonymous with famous images from that ballet of a petite dancer in a simple white bell-shaped dress with delicate wings. Taglioni sensationally brought the mythical sylph to life by dancing on the very tips of her toes, an early version of the pointe work that is such a central part of ballet today. The Taglioni Cake has its origins in The Royal Ballet’s Royal Charter, awarded by HM The Queen in 1956. 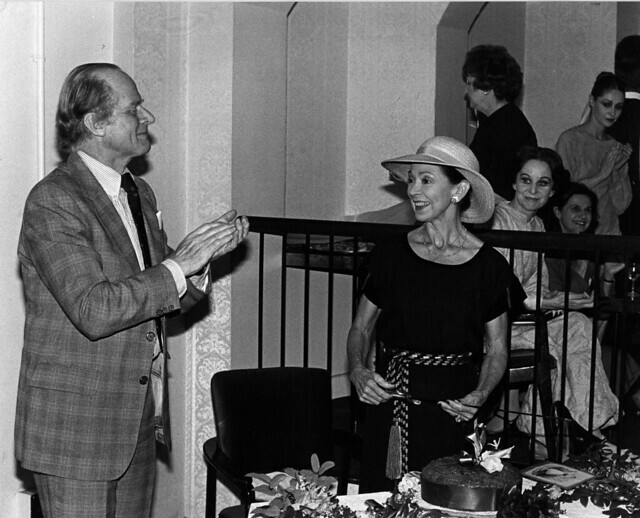 The following year De Valois and Beaumont came up with the idea of celebrating the end of the ballet season with a cake cutting ceremony. They were inspired by the Baddeley Cake at Theatre Royal, Drury Lane, where every year on twelfth night the theatre supplies cake and wine for the performers, a tradition begun in 1794 when actor Robert Baddeley bequeathed the theatre £3 per annum for just such an event. The Royal Ballet decided to honour the great dancer Taglioni, and Beaumont had in his possession a recipe for a cake that had been a favourite of hers. The recipe has remained a secret since the inaugural 1956 cake – but while the taste has remained the same, the look and decoration of the cake has changed substantially. The ceremony takes place after the final performance of the Season and is usually cut by members of the Company who are leaving. The first cake was cut by Alicia Markova, and those wielding the cake slice since have included Frederick Ashton, Nadia Nerina, Svetlana Beriosova, Anton Dolin, Robert Helpmann and Margot Fonteyn. 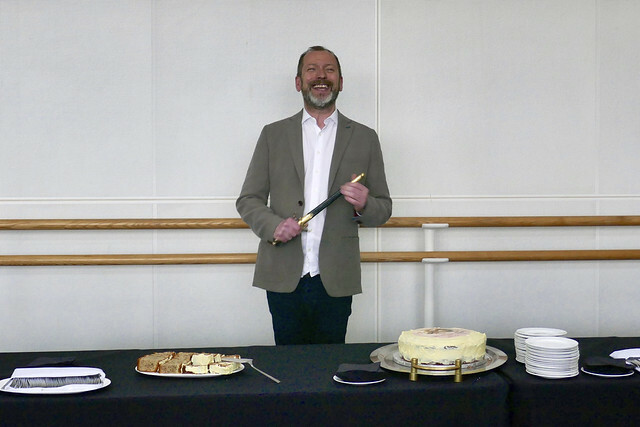 In recent years, as the Company has gone on tour at the end of the Season, the cake has gone with them and the ceremony has taken place overseas. But in 2017 it reverted back to its original home at Covent Garden, and was cut by Zenaida Yanowsky and Solomon Golding. I have always known that Maria Taglioni, although born in Stockolm, was an italian dancer, his father beeing Filippo Taglioni. And who actually eats it? Thanks for your comments – corrected now in the article.